Alive Drumming‘s smart web services have been engineered in the Elixir programming language. The web service supplies Alive Drumming’s fully arranged rhythm tracks constructed from multiple takes of long-form audio of very talented drummers. Executes these scripts, delivering the resulting audio as the output of the service. Much of this is textual lexical analysis and classic compiler design as the track description is a simple LR1 language, and the ejected audio-engineering scripts are optimised with a peep-hole optimisation phase. Step 3 above, “Creating the audio-engineering scripts“, additionally involved parsing textual meta-data relating to the long-form audio’s location of differing drumming intensities, fills, pre- and post- fills, drumming breaks, pushes, count-ins and endings. Each of these has multiple ‘takes’ and algorithms apply a weighting in pseudo-random selections. Initially, languages strong in textual manipulation were considered with the early algorithms prototyped in GAWK, but it became clear a language suitable for massively scalable web-services was needed. That lead me to Elixir and Phoenix. Elixir is a purely functional language, strong in text processing facilities that compiles to the Erlang/OTP virtual machine. Phoenix is a web server framework written in Elixir. Elixir/Erlang includes all the advantages of the Open Telecom Platform (OTP) – designed for the ultra maintainability and reliability expected of telecom platforms, such as supervised tasks and in-service module updates. We hosted this on Linux servers on the Google Cloud Platform (GCP) using a highly scalable cluster of Google Compute VMs and Google Cloud Storage. 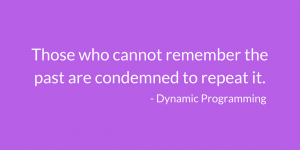 The programming solution leverages Dynamic Programming in many places. Dynamic Programming is where a problem is (recursively) decomposed into many sub-problems and where sub-problems may occur that are identical to previous ones. If a sub-problem is a duplicate, there is no need to solve it again, just use the previous result. A cache of results allows the algorithm to always check the cache first before solving the sub-problem. This technique was used on many levels within the solution. Elixir’s data-structures proved very accommodating with simple Elixir maps used as caches. Performance measurements showed an average 60% improvement in CPU utilisation and completion times with the caches deployed. An early design had the resulting audio track cached on Google Drive with the web server response being a redirect to the cached file. This solution was appealing because it leveraged the very mature, scalable and cost-effective Google Drive. However, it proved problematical with Google Drive quickly applying a governor under quite small amounts of load. It turned out Google Drive was not a good fit for this type of service. If all the Drive requests came from the web service, throttling was applied that limited the service. Additionally, it was difficult to supply Google Drive URLs to clients in a way that would reliably not result in authentication requests. Google Storage was eventually used in place of Google Drive. Elixir proved both a perfect fit for this project and a real pleasure to work in. The tooling around the language is mature and fit for purpose, the OTP platform is the best solution for reliability and maintainability and the restriction of a purely functional language proved to be more of a benefit than a limitation. Less really can be more with programming language design. 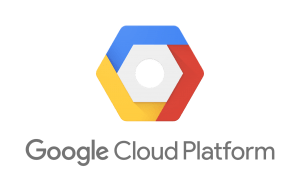 The Google Cloud Platform makes infrastructure commissioning, monitoring and maintenance so much easier than dealing with physical hardware. GCP toolset has matured and the facilities are extensive. 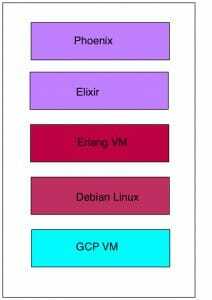 We would fully recommend the Phoenix / Elixir / GCP technology stack for developing and deploying mission-critical, complex web services. Song Rhythm Tracks are a new type of backing track composed entirely of rhythmic backing (no melody or harmony) arranged to the musical form of the song — it’s “songform”. These tracks are complete performances like one gets from a professional drummer. They have a count-in, introduction section, choruses and characteristic endings, framed by fills showing where sections start and end. Even musical bridges and middle choruses have higher intensity where appropriate to the style. Things are kept simple by doing away with the traditional arranger’s interface. One can select a track in under 30 seconds – under 15 seconds once one gets the hang of it. The App’s player has tempo adjustment and a facility to sequence the tracks for your gig or jam session. It is for musicians of all abilities. New musicians use the App to provide an accompaniment to songs. 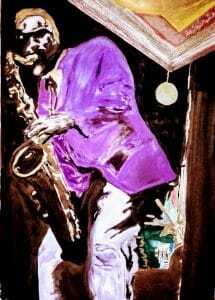 They get a rhythm that is sympathetic so they learn to keep time, get into the groove and internalise the song’s musical structure – All this while enjoying engaging and inspiring rhythms. Gigging musicians catalogue their backing into setlists and use it to guide performance. Having quality rhythmic backing, with a setlist facility and a musician’s player, all in the one App is so convenient one finds oneself using this rhythmic backing more and more. Song Rhythm Tracks are truly high-quality rhythmic backing that is convenient to select and play. You are not going to get tired of these backing tracks. You are not going to have to sequence anything. You will find that the player and setlist’s user-interface encourages continued use. You will get to appreciate the form of your songs more and you might include these tracks into your own single and album releases. Don’t be put off by experiences with other mobile drumming Apps. Song Rhythm Tracks are something different. 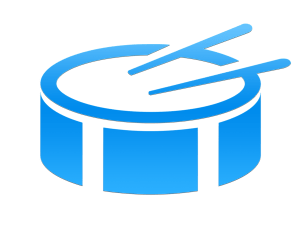 Whether you are learning a new tune, jamming, gigging or cutting your latest album, this Song Rhythm Tracks provides a solution. Try Alive Drumming’s sampler apps to sample previously arranged tracks of popular tunes. It is then easy to use the app to adjust these to your practice and performance requirements. All the sampler apps are the same Song Rhythm Tracks app but with the included sample tracks.